A very stylish hoodie and a best seller. 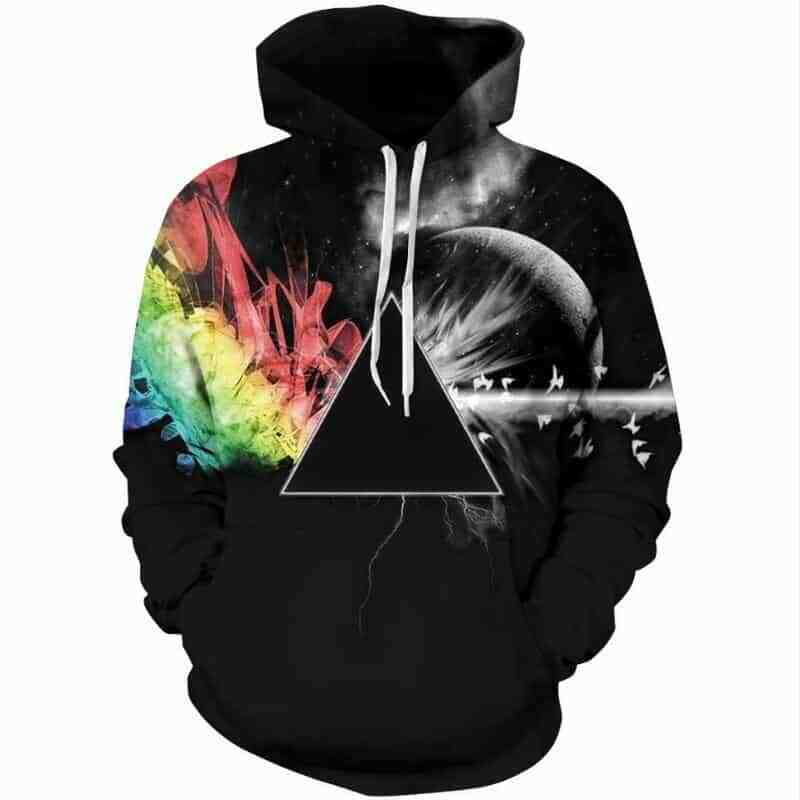 This Abstract Prism Hoodie features a triangle in the middle with various colors and objects in the background. The hoodie is black and the backside is a plain black design. The hoodie is comfortable to wear, looks fashionable and is wearable anywhere. It was designed for both male and female. despatching seller very long hoodie. material thinner than i expected. in the rest, неплохая humdinger.